This week the House of Commons Public Accounts Committee held a session examining developments regarding Brexit and the UK border. Witnesses to the Committee included Jon Thompson, Permanent Secretary at HMRC and Co-Chair of the Boarder Planning Group and other officials from DEFRA, HRMC and the Home Office. However, he added that the SME sector had been less engaged in Border Delivery Group process so far. Karen Wheeler, Director General of Border Co-ordination at HMRC added that there were significant impacts for smaller organisations in relation to moving parts across the border post-Brexit, but added that it was hard to engage with SMEs in the same way as larger companies. SME cash flow is an issue that ADS has been raising with Parliamentarians, Government and policymakers over the past few months. In ADS’ submission to the Autumn Budget, we raised that a ‘No Deal’ Brexit will create significant cash flow problems for any companies that rely on just-in-time European supply chains. ADS added that the Treasury and the Bank of England should begin contingency planning with banks to ensure there is enough liquidity in the financial system to support cash flow needs. In addition, the Treasury should consider what could ease firms’ cash flow pressures like tax measures, such as VAT and corporate tax holidays, or a boost to investment allowances. ADS has been working to ensure our members, which include over 900 SMEs, are preparing for Brexit. 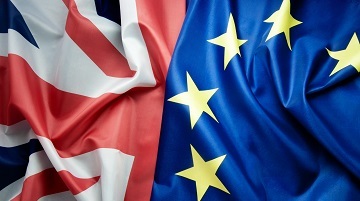 This month we launched a new Brexit hub which includes a section on practical steps to help member companies prepare for Brexit. The hub also includes resources such as a “Brexit Readiness” questionnaire and information on customs and border issues.